We use local sicilian chili because it is less spicy than chili grown in southern Italy (Calabria). Use it for seasoning and to add a pinch of spice to any dish. Due to a special manufacturing procedure it maintains its beautiful red colour. 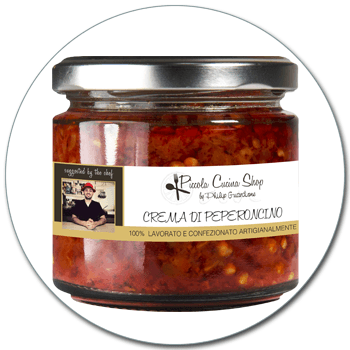 As it is not too spicy our chili spread can be used on bruschetta, as dip sauce, to spice up pasta sauces (allâarrabiata), stews, meat andâ¦ pizza!